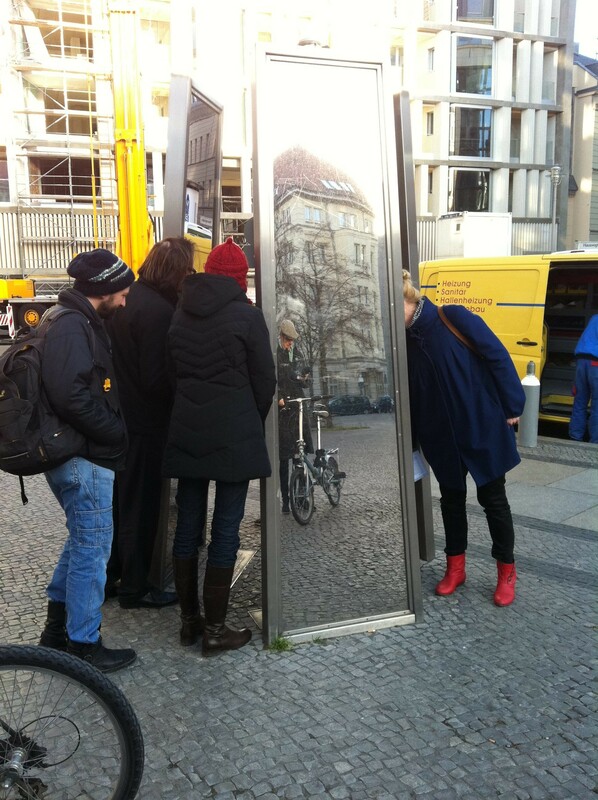 This is a blog on public art in Berlin. It is kept by Martine van Kampen who is a resident at ABA (AIR Berlin Alexanderplatz) from September-December 2011. On the basis of first sight parallels between Berlin and Amsterdam I am investigating the conditions of public art in Berlin. How does this particular field of art relate to Berlin politics and government, to the art market or to artist’s initiatives, and how has this developed historically? How do artists feel about public art, do they see it as an opportunity or is it obscure or problematic? The study will take on the form of a small programme of meetings, in which I organise discussion with artists, curators, scholars and other people involved, to actively gather information and knowledge. After a first phase of studying projects, making contacts, meeting people involved and organising there will be four afternoons with each an excursion and a discussion, each time related to a specific theme. The growing results of this four month ‘action research’ will be published on this blog. The ABA residency is funded by the Dutch Fonds BKVB.